Cool Hand Burg: Good Call . . . This was found feet away from the Brooklyn Flea. 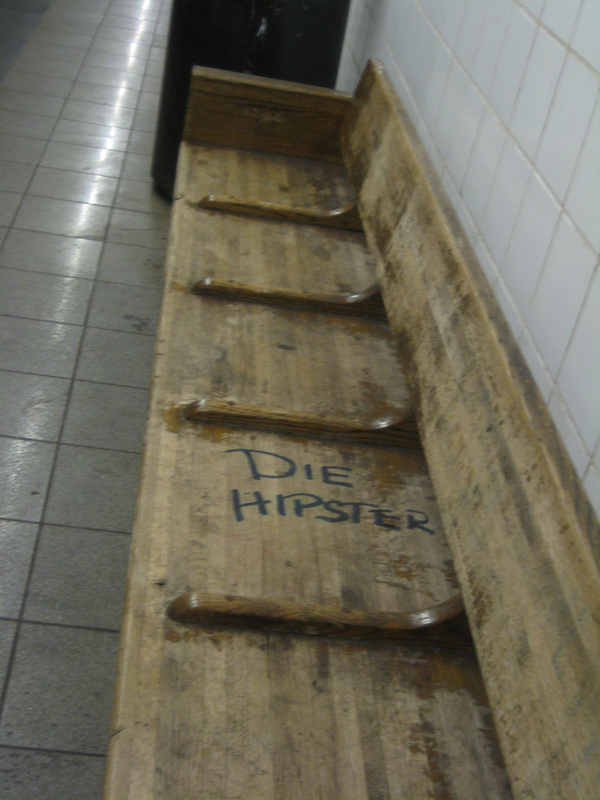 We can't help but wonder if the person who wrote this was, in fact, also a hipster? Magic Eight Ball Says, "It Is Decidedly So."